It’s busy work being a writer these days. As I’ve observed before, it’s no longer enough just to, you know, write books. You need a blog, a website, a twitter account, facebook… the list goes on and on. 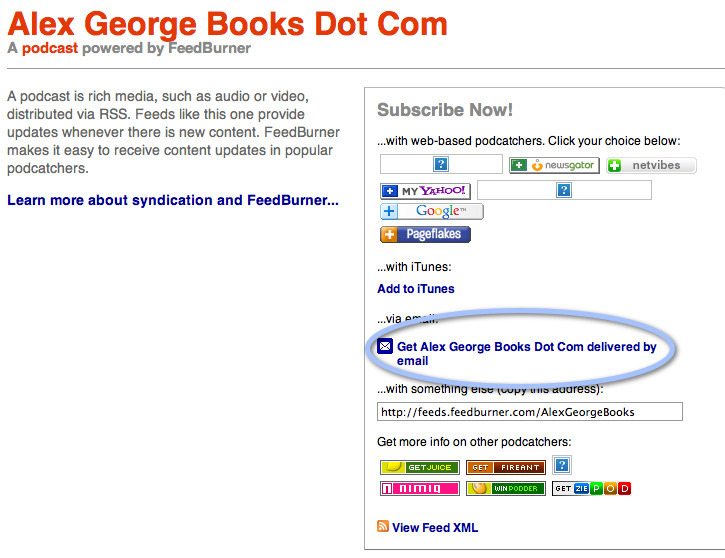 On the next page, click where shown below and enter your email address. 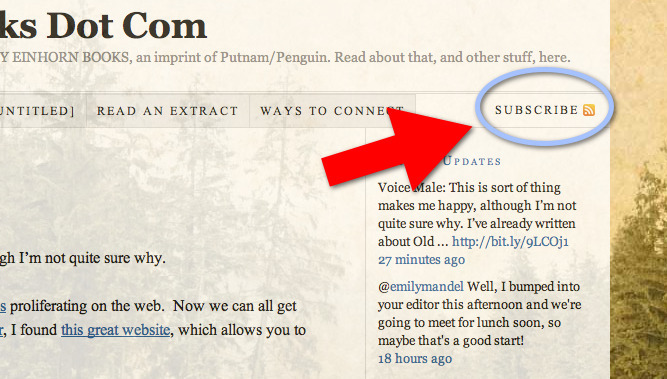 You’ll receive a confirmation email, asking you to click on a link to confirm your subscription, and voila! You’ll then receive notifications of new posts on your facebook news stream. And if we’re not friends on facebook, please send me a request and we can sort that out. I know that a lot of people who follow me on facebook comment there on whatever I’ve posted, and that’s great. However, it would be even better if you could post a comment on the blog itself, as then it gets archived here for posterity, or at least until the server pegs out. Twitter is here to stay, and now that I have spent some time there, it’s rather fun. If you tweet, please follow me there. In addition to seeing tweets about each new blog post, I also stick up a lot of other book-related stuff there. You can see the sort of drivel I tweet about in the right hand column of the website. Please feel free to re-tweet, comment, etc., etc. 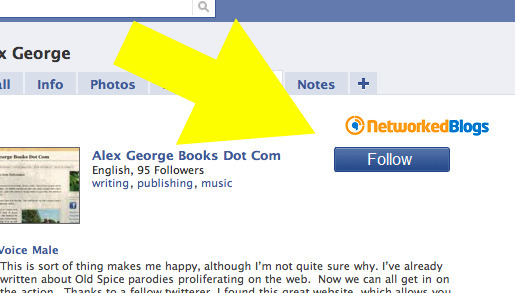 We do love comments, here at AlexGeorgeBooks! (That’s me and the mouse in my pocket.) Please feel free to drop me a line in the comment box at the bottom of each post. Or send me an email using the “Ways to Connect” tab at the top of the page. And, of course, feel free to share any of this nonsense with your friends, lovers, co-workers, and dental hygienist. Thank you all for your continued readership and support. This is kinda fun.